An exquisite lineup of rainbow treasures is hitting the auction block later this month in South Africa. 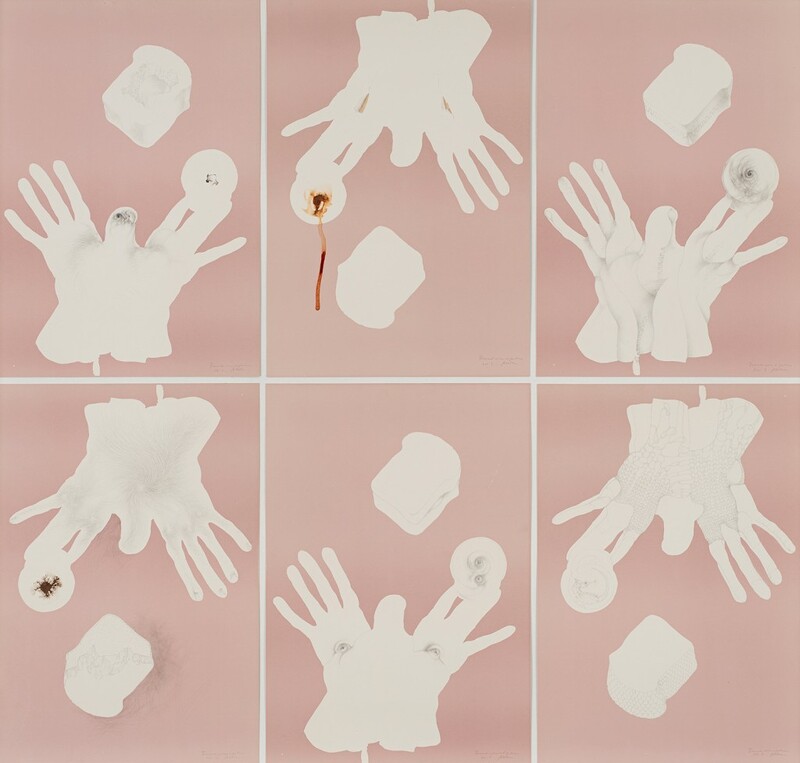 South African auction house, Aspire Art Auctions, is delivering a trove of historic, modern and contemporary works in their upcoming auction that looks to the traditions and identity of the country. Held on October 28, this vibrant collection promises something for every enthusiastic collector, whether a fresh novice or considered expert. 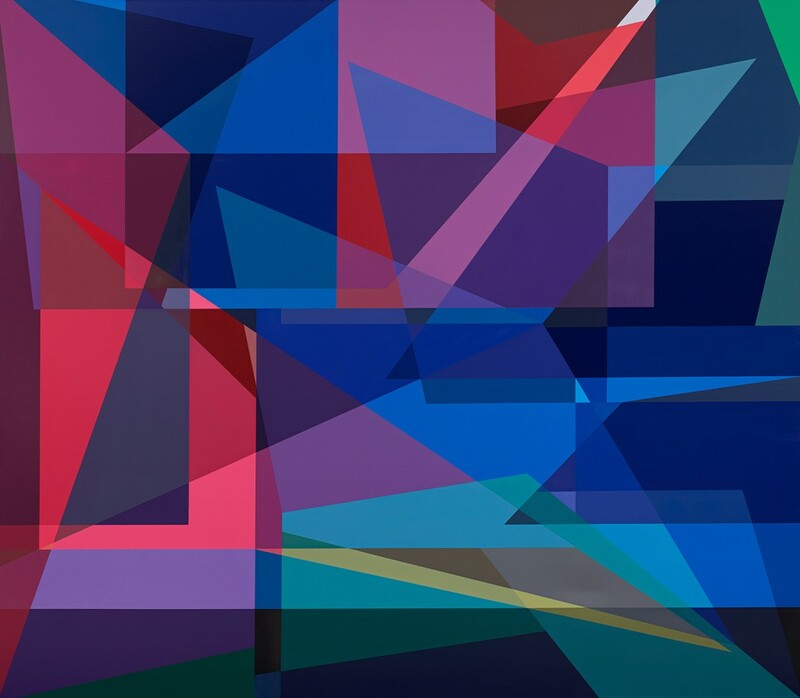 This vibrant, geometric work by Polish-born, Cape Town-based artist Andrzej Urbanski (b. 1983) consists of spray paint and acrylic on canvas. Bold, translucent shards of complementary blues and pinks splice into one another, forming overlapping cuts of purple and grey that create an impression of depth in space and form. Andrzej Urbanski is known for his hard-edged abstract art. He is fascinated by digital artwork and using the medium of spray paint he replicates immaculate linear shapes that appear to be digitally designed. He muses, "I believe I can be better than the machine." Here, 'Adam' refers to the biblical Adam, with the Garden of Eden sprouting from his body, in particular his torso and ears. 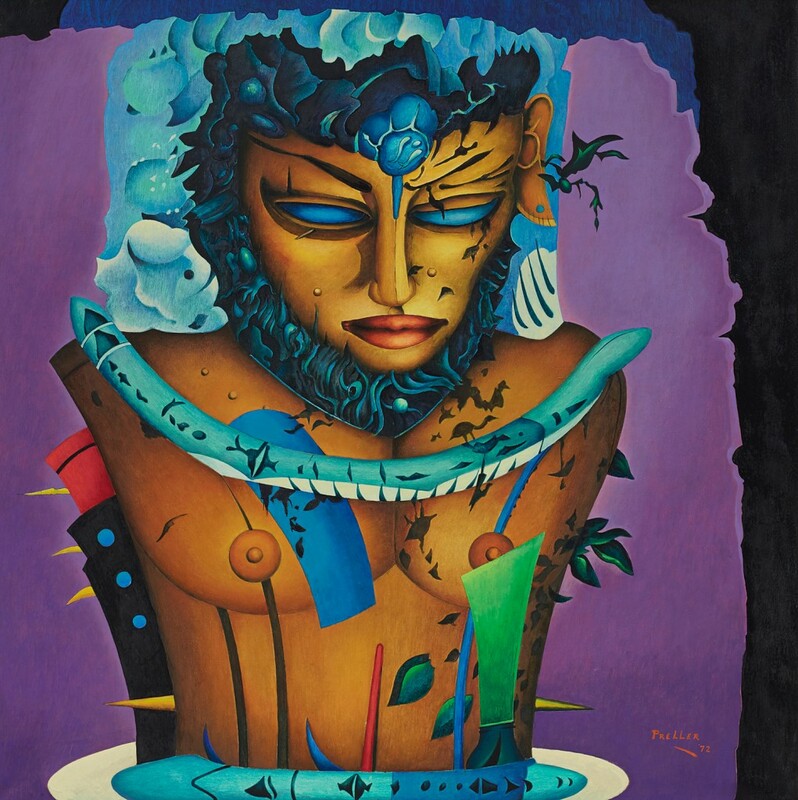 The work, which exhibited at the Biennale of São Paulo, Brazil in 1973, is by the famed South African artist Alexis Preller (1911-1975). Preller trained at the Westminster School of Art from which he graduated from in 1934, and later at the Académie de la Grande Chaumière in Paris. While it has been cited that Preller was influenced by the works of Vincent van Gogh and Paul Gauguin, there is also clear surrealism in play. An irrational color palette of purple, blue and green form the background to this medley of image that together create a dreamlike composition. Preller's work often incorporates African tribal forms and patterns with Christian and Classical themes. Dr Esther Mahlangu was born in 1935 on a farm outside Middleburg, in what is now known as the Mpumalanga province. Through traditions passed down from her mother and grandmother, she learned traditional Ndebele wall painting and beadwork as a child. Mahlangu became an expert in mural production as a teenager, using a widening range of paint colors which emerged in the 1940s. She received an honorary doctorate from the University of Johannesburg in April 2018. The artist is known for her bold, large-scale paintings that reference her Ndebele heritage. The strong blocks of color and pattern, defined by thick black borders, are vibrant symbols and expressions portraying communications of themes such as personal prayers, self-identification, emotion and marriage. 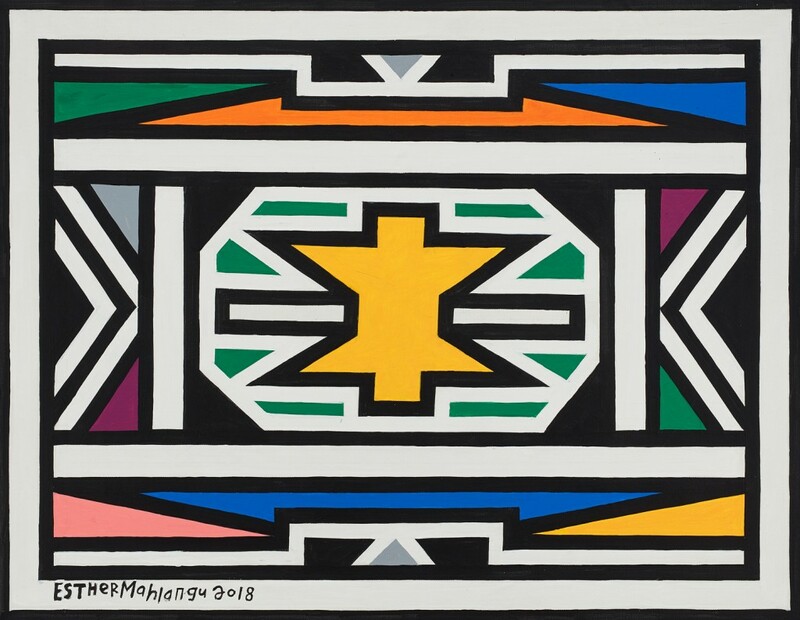 Aspire Art Auctions' extraordinary collection of colorful works, many inspired by tribal traditions, is an exciting vision of contemporary art merging with a distinct South African identity.